Greg Bell of Gray climbs toward the Big Wilson Cliffs on Feb. 23, while on a trip to hike the entire 100-Mile Wilderness section of the Appalachian Trail in Maine. He's traveling with two companions. Greg Bell of Gray sits in Long Pond Stream Lean-To on Feb. 24, while on a trip to hike and ski the entire 100-Mile Wilderness section of the Appalachian Trail in Maine. He's traveling with two companions. 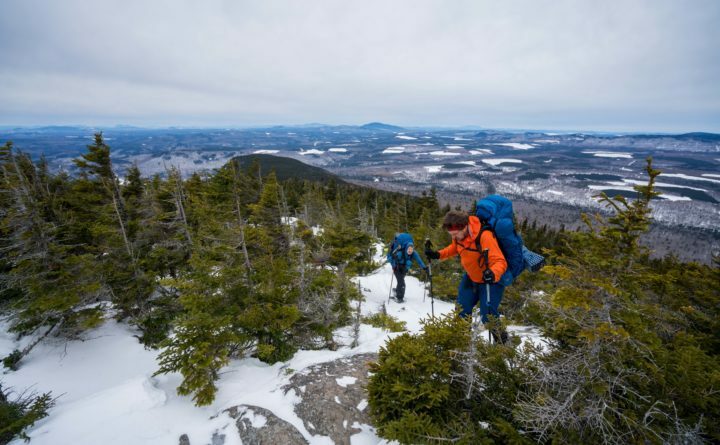 David Koorits of Kittery and Greg Bell of Gray ascend Barren Mountain under cloudy skies on Feb. 25, the third day of their nine-day trek through Maine's 100-Mile Wilderness on the Appalachian Trail with Brian Threlkeld of Portland. 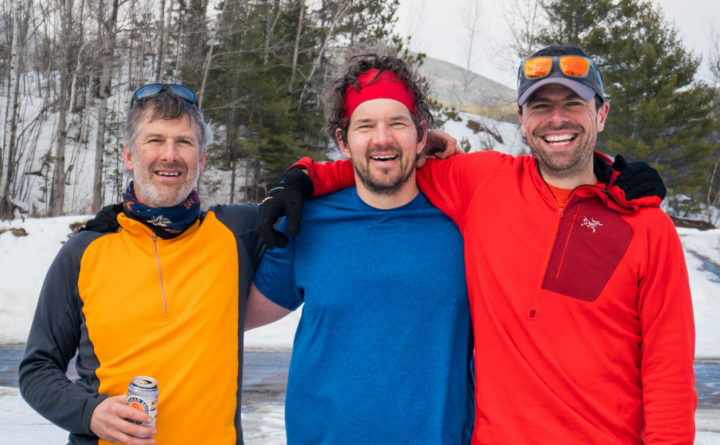 Greg Bell of Gray (from left), David Koorits of Kittery, and Brian Threlkeld of Portland celebrate at Abol Bridge parking area on March 3, after traveling nine days through the 100-Mile Wilderness from Monson to the Golden Road at the edge of Baxter State Park. David Koorits of Kittery and Greg Bell of Gray ski across Lower Jo Mary Lake on March 7, day seven of their trip through Maine's 100-Mile Widlerness on the Appalachian Trail with Brian Threlkeld of Portland. 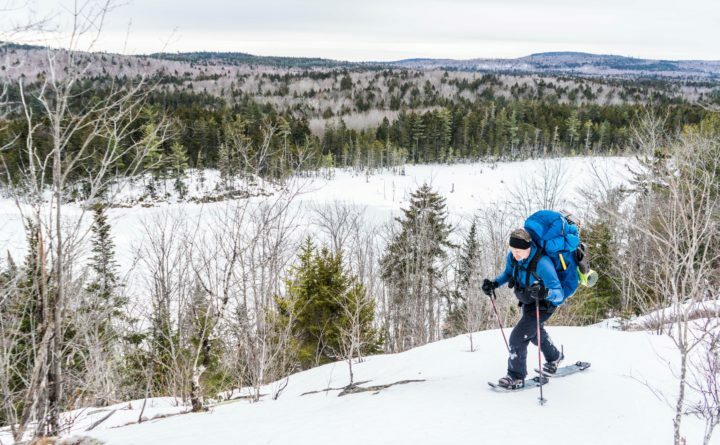 At the end of February, three Maine men set out on snowshoes to hike the 100-Mile Wilderness, the most remote section of the Appalachian Trail stretching about 100 miles from Monson to Baxter State Park. They completed the arduous journey, over mountains and across half-frozen streams, in nine days, a feat very few hikers accomplish in the winter. “I enjoyed just being out there, being self-reliant, having fun with my friends and overcoming all these little challenges,” the expedition’s ringleader Brian Threlkeld, 36, of Portland said. An accomplished photographer and long-distance hiker, skier and rock climber, Threlkeld planned the trip through his new business, Threlkeld Outdoor, a platform to create authentic, expedition-based content with a focus on conservation and engaging people in outdoor recreation. He then enlisted David Koorits, 43, of Kittery and Greg Bell, 49, of Gray, both experienced winter expeditionists, to join him. The trio hit the trail in Monson, at the southern end of the 100-Mile Wilderness, at 8 a.m. Friday, Feb. 23, and right off the bat they ran into some problems. “The first day, I had some malfunctioning with my snowshoes where they were kind of collapsing on me,” said Koorits, co-owner of Good-To-Go, a Kittery-based company that creates gourmet dehydrated meals that are ideal for backpacking. Miles into the woods already, the group was far from anywhere they could replace Koorits’s snowshoes, and he didn’t want to turn around. 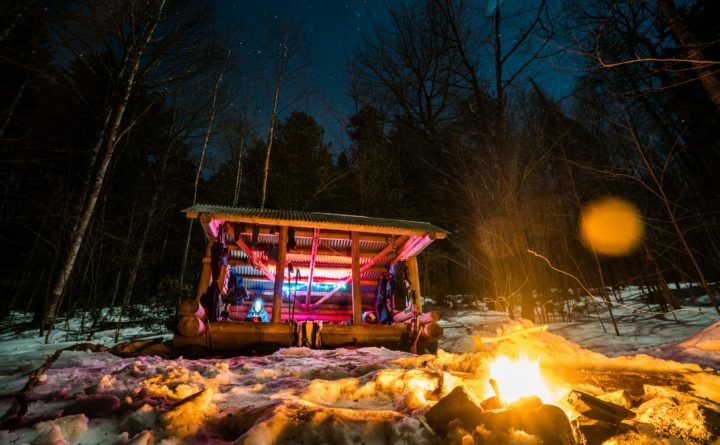 That night, the trio set up camp at one of the AT’s many shelters, a lean-to with a wooden floor, three walls and a roof, with its open side facing a fire pit. Bundled in thick sleeping bags, the men slept in the open air, though they carried tents. The next morning, determined to carry on, Koorits gathered maple branches and bound them with bailing wire to create outriggers for his malfunctioning snowshoes. The construction did the trick and lasted him the rest of the trip. “Doing this endurance stuff is partially about physical training and being at a certain level [of strength], and the rest is just a head game and keeping a positive attitude and pushing through tough times,” Koorits said. The group had plenty of tough times ahead, but it came to them as no surprise. One thing that makes the 100-Mile Wilderness such a difficult section of the AT is its remoteness. For about 100 miles, the trail doesn’t cross any major roads — only the occasional logging road. “We knew we wouldn’t really see anybody,” Bell said. The only other people they saw during their journey were occasional snowmobilers, who raised their hands in greeting and zipped on by. For February, the weather was mild, but that didn’t make traveling any easier. In fact, the three wished the weather had been just a bit colder. With the temperature hovering around freezing on most days, it was nearly impossible for them to dry out their clothing and boots. Snow would melt from the tree branches above, raining down on them non-stop. They packed enough food for 10 to 12 days, but the trail was slow going, especially at high elevations, where the snow was several feet deep. To cover enough distance each day, they rose early, cooked up some powdered eggs and bacon, then hit the trail, snowshoeing often 10 hours before making camp. One day in particular stood out to all three men as especially challenging — the day they hiked White Cap Mountain. Rising 3,707 feet above sea level, White Cap is famous for the spectacular view from its summit, which includes Mount Katahdin, Maine’s tallest mountain and the location of the AT’s northern terminus. Hiking toward White Cap, the three followed the ridgeline of Gulf Hagas, West Peak and Hay Mountain, where the snow was at least 4 feet deep, and the trail, cut through a thick forest of evergreens, had almost vanished. Soaked through, they reached the top of White Cap and stood in the dangerously cold wind to take in the view before quickly descending, only to be confronted with a tangle of blow-downs (trees that had fallen across the trail) and snow so deep they sunk to their hips even though they wore snowshoes. Another problem was staying on trail. With the snow so deep, the telltale white blazes of the trail were often covered with snow. But they had anticipated that, and in preparation for the trip Threlkeld hiked the section the previous summer to lay down a GPS track for them to follow. 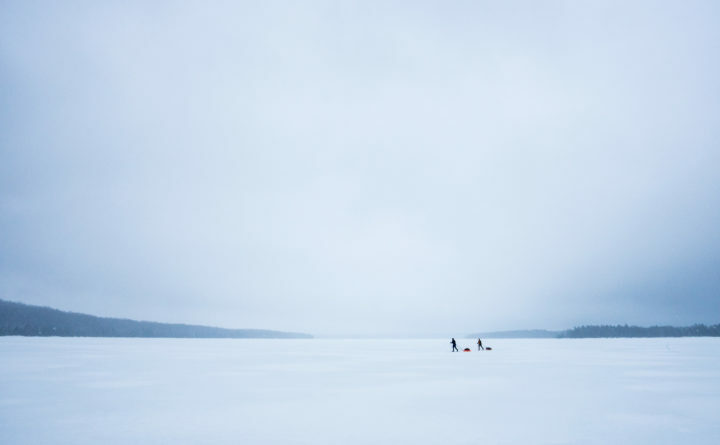 For the most part, the men traveled on high-tech snowshoes, but on the morning of their sixth day they received a supply drop off by snowmobile, which included food and backcountry skis to speed things up on flatter stretches of the trail. Bell and Threlkeld had completed the 100-Mile Wilderness in the summer, so they had an idea of what they were getting into. But in the winter, it was a very different trail, they said. The group emerged from the woods at 3:15 p.m. on Saturday, March 3, at the official end of the 100-Mile Wilderness, on Golden Road, at the edge of Baxter State Park. 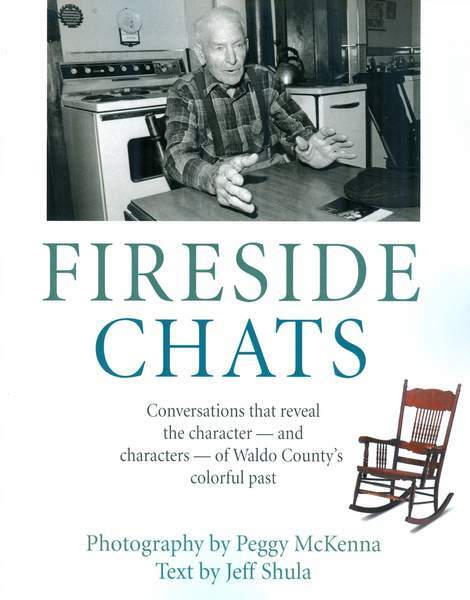 Threlkeld plans to put together a short film and photo slideshow of the adventure, which he’ll share at public events later this year. Once planned, he’ll post information about the events on his website, www.threlkeldoutdoor.com. 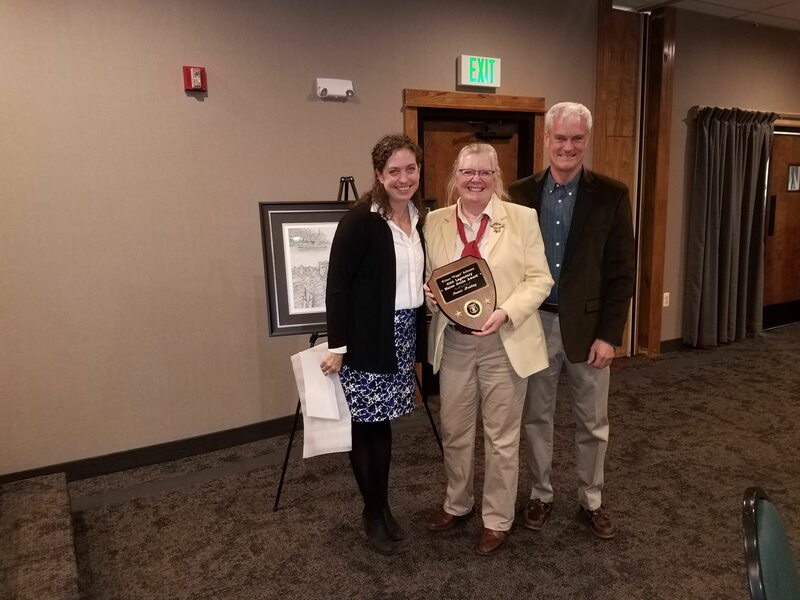 The trip was sponsored by several outdoor brands, including Smartwool, Jetboil and Outdoor Research, and was supported by the nonprofit Appalachian Trail Conservancy and Outdoor Sport Institute.